Concert by S. Rikhter. 1979. Bronze, granite, height 75 cm. Study «Movement». 1976. Bronze, granite, height 36 cm. Family. Composition, 1977, bronze, granite, height 68 cm. A Portrait of Mother. 1978, bronze, height 28 cm. Eternal Path. Composition, 1995, marble, height 170 cm. Blacksmiths. Composition, 1972, aluminum, height 100 cm. River Nerl. Composition, 1976, bronze, granite, height 40 cm. A Welder. Composition, 1973, aluminum, steel, height 230 cm. Welders in Movement. Composition, 1973, aluminum, height 60 cm. Smelting, 1930-es. Composition, 1987, chamotte, height 70 cm. Fertility. Composition, 1975, chamotte, height 70 cm. The Fall. Composition, 1972, bronze, steel, height 190 cm. Bust of K. A. Timiryazev. 1991, gypsum, natural size, 1.5. Steelworkers. Composition, 1966, bronze, height 18 cm. By the Steel Hammer. Composition, 1966, bronze, height 17 cm. Blacksmith. 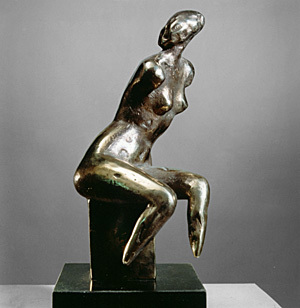 1968, bronze, height 42 cm. Art Gallery of Stavropol Territory. Four Seasons. 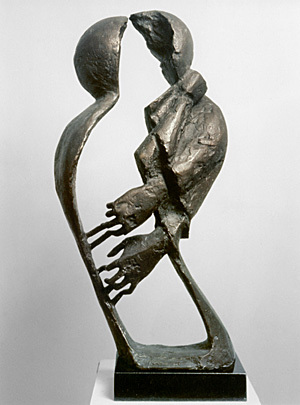 Composition, 1977, bronze, height 190 cm. Birth. Composition, 1979, bronze, granite, height 54 cm. Free Now. Composition, 1979, bronze, granite, height 60 cm. A Study. 1986, bronze, height 30 cm. Portrait of Brother, B. Yevdokimov. 1962, bronze, natural size, 1. Portrait of M. Voskresenskiy. 1968, bronze, natural size, 1. Portrait of V. Kikin. 1982, bronze, granite, natural size, 1. A Study. 1984, bronze, height 34 cm. Bust of D. Galkovsky. 1987, bronze, granite, natural size, 1. Leo Tolstoy. 1998, bronze, granite, height 85 cm. Requiem. Composition, 1965, bronze, height 16 cm. Torso of Reclining Woman. 1975, bronze, granite, height 24 cm. Movement (A Sitting Woman). 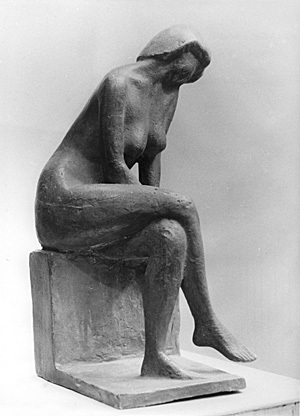 Study, 1976, bronze, granite, height 37 cm. Pomona. 1982, bronze, height 36 cm. Bust of Airman Pogulyaev. 1986, bronze, granite, natural size, 1.25. Lyuba. A portrait, 1987, bronze, granite, natural size, 1. Portrait of Lieutenant Ostapchenko, 1987, bronze, granite, natural size, 1.25.